it's ALWAYS a good time for tacos. they even have their own day of the week - tuesdays! but i say tacos taste the best in the summertime. why? well isn't it obvious? they go GREAT with margaritas. now, there are a million ways you can fill your taco up, but i've been on a major avocado kick lately and found a recipe for baked avocado tacos. i was totally skeptical of course. baked avocados? well, that sounds gross. who likes warm slimy avocados? but this recipe gets it right. and it's summa summa summertime! so let's eat more tacos! let me walk you through this super simple recipe! start off by chopping up your key toppings. 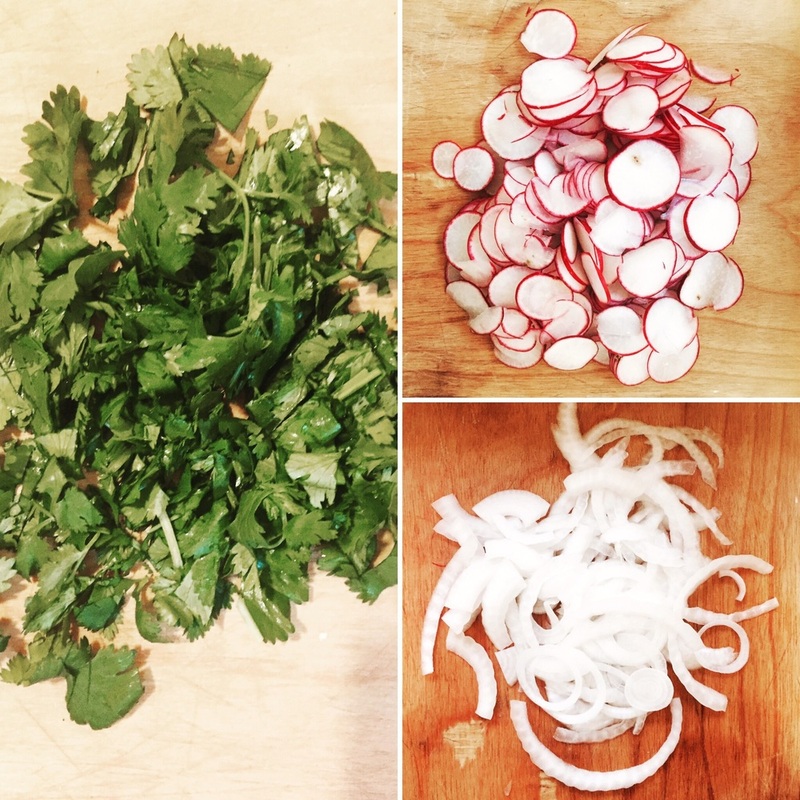 for this version, i recommend cilantro, onion and radish (pickled for extra credit!). then slice your avocados into halves, and then the halves in thirds. did that make your head hurt? sorry. now it's time to coat the avocados in a mixture of equal parts coconut milk + olive oil. then cover with panko bread crumbs seasoned with cumin and garlic salt. spread coated slices on a baking pan and bake in a preheated oven at 450 degrees for about 10 minutes. once baked, stuff 3-4 avocado slices into corn tortillas, then top with the cilantro, radish, onion or other topping of your choice (i added greek yogurt with lemon). serve these babies warm, with maybe beans, some corn? oh yea... and a margarita. enjoy!